Some effects of climate change—rising seas, warming water temperatures and prolonged periods of extreme weather—are already being observed in the Bay region. A changing climate will affect the Chesapeake Bay. 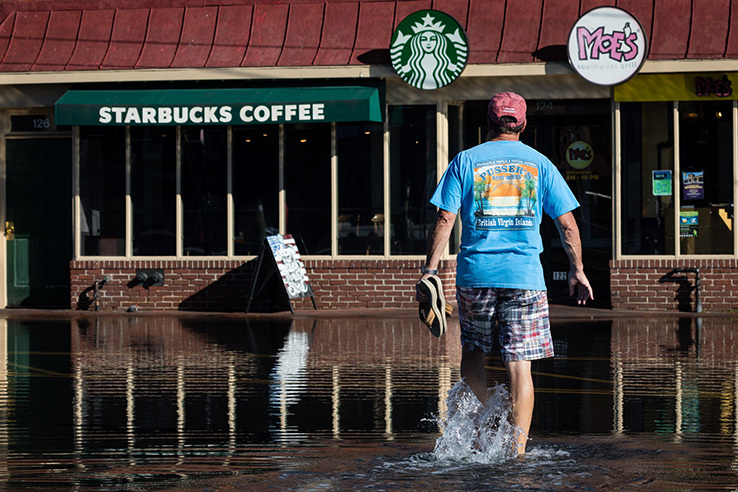 Some effects—like rising seas, warming water temperatures and prolonged periods of extreme weather—have already been observed in the region. Other impacts include a rise in coastal flooding and shoreline erosion and changes in wildlife abundance and migration patterns. How is climate change affecting the Chesapeake Bay? The Chesapeake Bay is one of the most vulnerable regions in the nation to the effects of climate change. Some of these effects—including rising water temperatures and sea levels—have already been observed, and the region is expected to experience further shifts in environmental conditions. According to the U.S. Geological Survey (USGS), two factors have contributed to sea level rise around the world: thermal expansion caused by the warming of the oceans, and the melting of glaciers and ice sheets. Over the past century, Bay waters have risen about one foot, and are predicted to rise another 1.3 to 5.2 feet over the next 100 years. This is faster than the global average, because the land around the Bay is sinking through a process called subsidence. As water levels rise, so will coastal flooding and erosion. Marshes and wetlands will be inundated with saltwater and will disappear faster than wetland plants can populate higher ground. 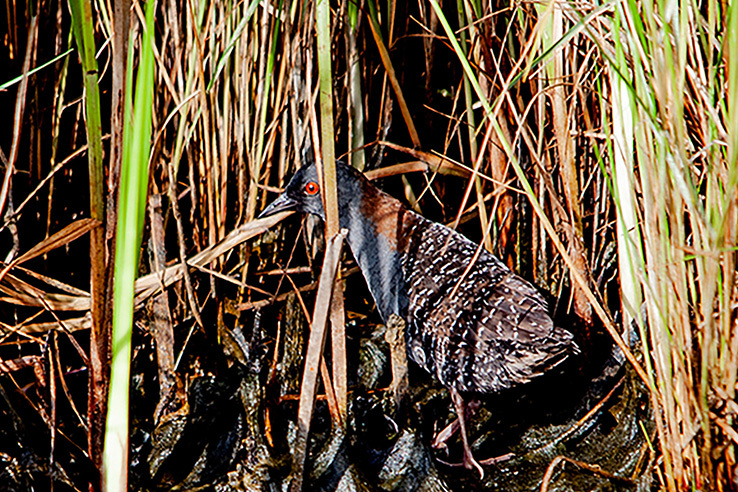 A loss of marshes and wetlands will mean a loss of the habitat that traps pollution and provides food and shelter to fish, shellfish and birds. According to the U.S. Environmental Protection Agency (EPA), average temperatures across the northeastern United States rose almost 2 degrees Fahrenheit (F) between 1895 and 2011. Projections indicate warming of 4.5 to 10 degrees in the region by the 2080s. Warmer air means warmer water, and warmer water means a change in aquatic habitats. Eelgrass, for instance, becomes stressed when waters are warmer than 86 degrees Fahrenheit for long periods of time; a loss of eelgrass would affect the fish, crabs and waterfowl that use grass beds for food and shelter. According to a study by the University of Maryland Center for Environmental Science (UMCES), warming water temperatures have been recorded in more than 92 percent of the Bay's waters. 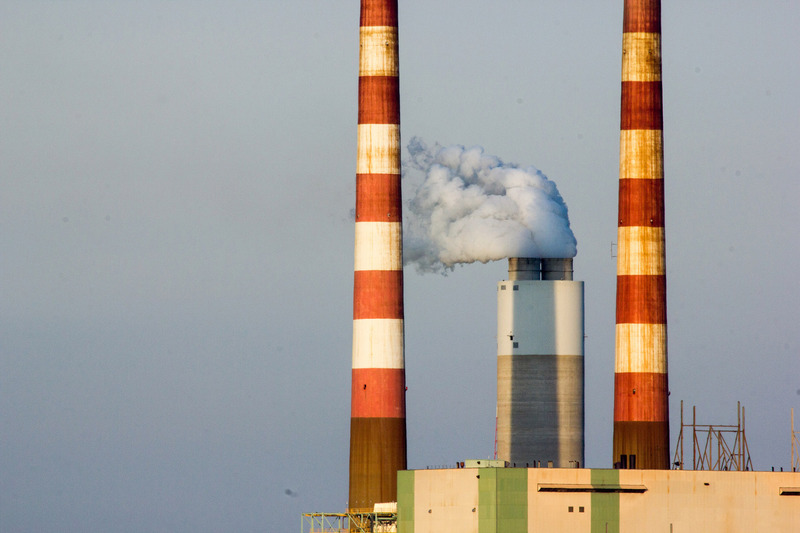 And a study by USGS found an overall increase of 1.98 degrees F in air temperatures and 2.52 degrees in stream temperatures in the Chesapeake Bay region from 1960 to 2010. Warmer waters are also less able to hold oxygen. A drop in dissolved oxygen means a rise in the dead zones that suffocate marine life. According to the EPA, between 1958 and 2012, the northeastern United States saw a more than 70 percent increase in the amount of rainfall measured during heavy precipitation events—more than any other region in the nation. Strong rain and snow storms can damage crops, erode soil and increase flooding. 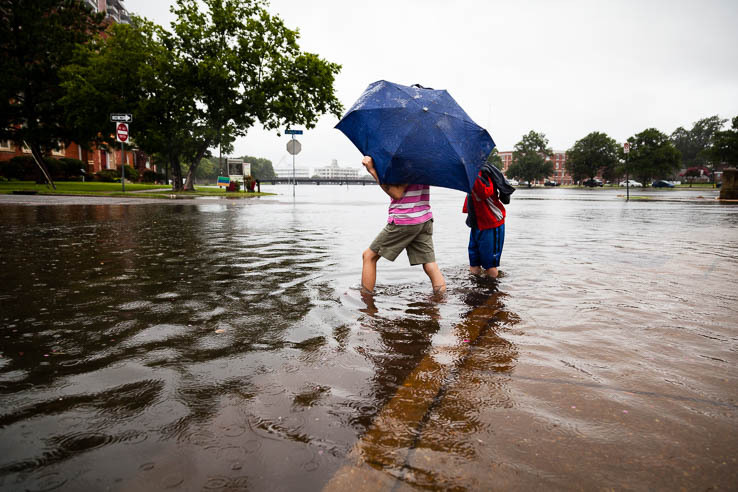 Floods can damage ports, marinas and historical monuments and threaten buildings, sewer systems, roads and tunnels. As the amount of carbon dioxide in the air rises, so does the amount of carbon dioxide in our oceans. When oceans absorb carbon dioxide, the chemical compound reacts with seawater to produce carbonic acid. This raises acidity levels and lowers carbonate ion levels, making it harder for oysters and other shellfish to produce the calcium carbonate needed to form their shells. A loss of oysters and their reefs would affect water quality and habitat. Climactic changes can alter the abundance and migration patterns of wildlife. The timing of leaf growth and flower blooms, for instance, has changed across the United States. North American birds—including the ducks, geese and other waterfowl that spend cold months in the Bay’s marshes and wetlands—have shifted their wintering grounds northward and farther from the coast. And data from the National Oceanic and Atmospheric Administration (NOAA) show 60 percent of the northeast’s major fish stocks have shifted toward colder northern waters since the mid-twentieth century. Warming air and water temperatures could also favor the introduction of new, potentially invasive species. How do extreme weather events impact the Chesapeake Bay? Under normal weather conditions, fresh water flowing from rivers and streams makes up about half of the Bay’s entire water volume. But extremes in rainfall—whether too much or too little—can have varying effects on the Bay ecosystem. During large rain events, river flow increases, pouring more fresh water into the Bay and decreasing the Bay’s salinity. 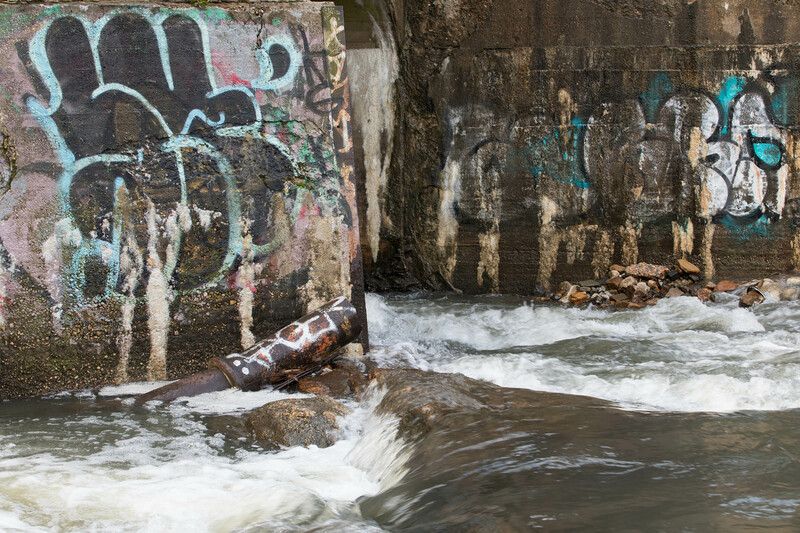 Stormwater runoff pushes nutrients, sediment and other pollutants off of the land and into rivers and streams. During periods of little rainfall or drought, river flow decreases, reducing the amount of fresh water flowing into the Bay. Prolonged periods of low fresh water flow can allow saltier ocean water to move further up the Bay, affecting the behavior of several aquatic species. Some underwater grasses cannot survive in saltwater, and while oyster spat sets can be higher in saltier waters, so, too, can the prevalence of two common oyster diseases. Changes in water temperature can affect the reproduction and behavior of fish, crabs and oysters, as well as underwater plants. Because the Chesapeake is the southernmost reach of eelgrass’s Atlantic growing range, higher than average water temperatures can impact this vital grass species. In 2005, too-warm water temperatures caused a large-scale loss of eelgrass in Tangier Sound. Hot summer months can help algae flourish, and the resulting algae blooms can block sunlight from reaching underwater grass beds. Algae blooms can also produce toxins that cause widespread fish kills and lead to low-oxygen dead zones that suffocate marine life. Temperature also plays a critical role in determining the amount of dissolved oxygen in Bay waters. The cooler the water, the more oxygen it can hold. In June 2013, the White House issued an Executive Order to prepare the nation for the impacts of climate change. The Climate Action Plan urges communities to increase their climate resilience, or to take steps to protect themselves from climate impacts by updating building codes, adjusting natural resources management, investing in resilient infrastructure and planning for weather-related damages that might occur. Under the Chesapeake Bay Watershed Agreement, Chesapeake Bay Program partners committed to the goal of increasing the resiliency of the Chesapeake Bay watershed, including its living resources, habitats, public infrastructure and communities, to withstand adverse impacts from changing environmental and climate conditions. To combat climate change in the Bay watershed, consider lowering air pollution by learning how to drive the Bay-friendly way; walking, biking or taking public transportation when possible; or using electric or manual lawn mowers and yard tools instead of gas-powered machines. How will climate change affect the Chesapeake Bay? Climate change, sometimes called global warming, has led to sea-level rise and increased temperatures in the Chesapeake Bay and around the world. Other predicted effects of climate change include prolonged periods of extreme weather and changes in ocean chemistry, wildlife abundance and wildlife migration patterns. 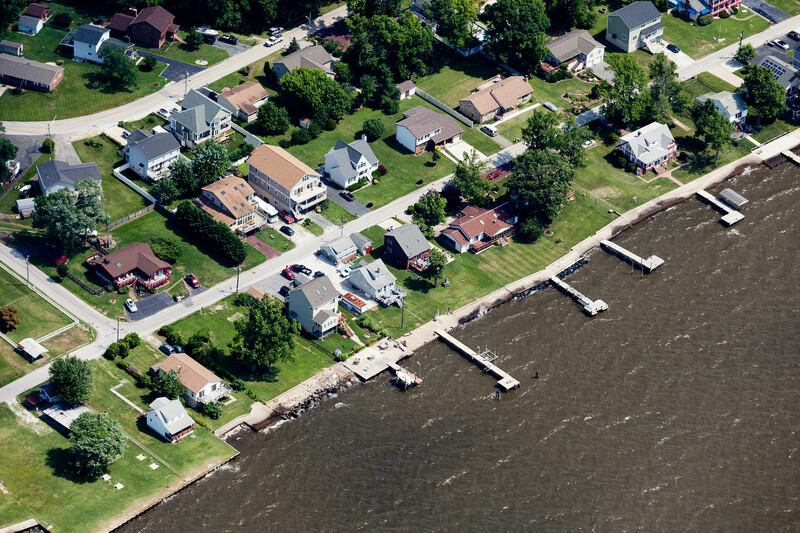 How rapidly is sea level rising in the Chesapeake Bay? Over the past century, Chesapeake Bay waters have risen about one foot, and are predicted to rise another 1.3 to 5.2 feet over the next 100 years. This is faster than the global average because the land around the Bay is sinking through a process called subsidence. Ocean acidification occurs when carbon dioxide reacts with seawater to produce carbonic acid. This raises surrounding acidity levels and lowers carbonate ion levels, making it harder for oysters and other shellfish to produce the calcium carbonate needed to form their shells. A condition where no oxygen is present in the water. Dead zones are often caused by the decomposition of algae blooms. The seasonal movement of animals from one region to another. Rain, snow, sleet or hail that falls to the ground. A transitional zone between land and water that is periodically flooded. For example, marshes, swamps and bogs are all wetlands.